Google announced this week that they are retiring the "regular PLA (product listing ads) campaign" type and will require all advertisers to upgrade to Shopping campaigns by late August 2014. If advertisers do not do so themselves, they remaining PLA campaigns will be automatically upgraded to the new shopping campaigns type. 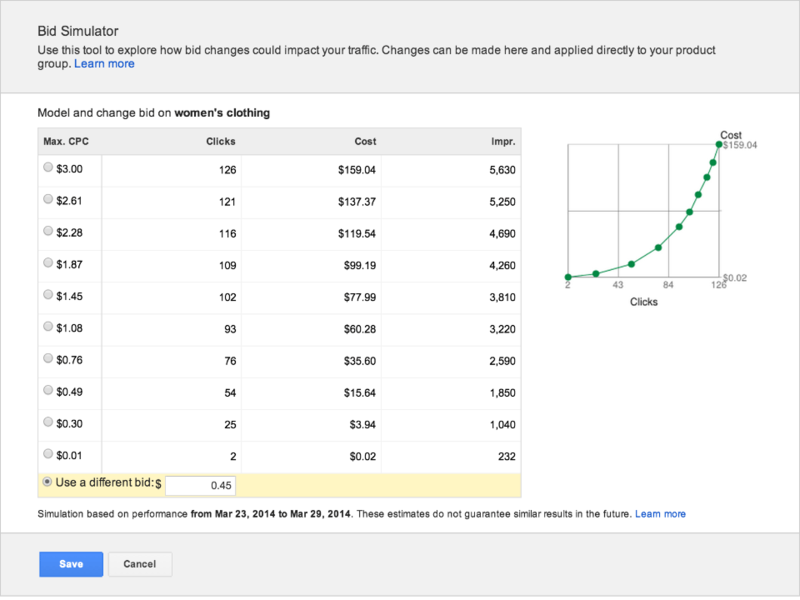 Size your opportunity with Bid Simulator - To provide more actionable insight into your PLAs, Google rolled out a Bid Simulator that's now available in all Shopping campaigns. With a Bid Simulator, you can now estimate how bid changes could impact your impressions, clicks or costs. Options to create a Shopping campaign - In the coming days, Google will be adding some options to help you get started. You would be able to create a Shopping campaign from scratch or, for many of you, use one of your regular PLA campaigns to create similar product targets, negative keywords or promotional text. Multiple ad groups for advanced retailers - While many of you will be happy with your Shopping campaign as is, Google has heard from advanced retailers that they’d like to create multiple ad groups. It’s now possible to do this within a Shopping campaign. Forum discussion at Google+ and Google AdWords Help.